My son Erik and I were looking at pictures of him and his brother recently. With my laptop cracked open, he had peered over my shoulder as I was idly going through my ever-growing iPhoto library in an effort to determine which photos were going to be moved to make more room for, well, more photos. We came across a picture of him and his identical twin brother, Aubrey. As the mother of identical twin boys, it had been years since I had finally figured out how to tell them apart, an ability that I was afraid I wouldn't be able to master when they were babies. His question hit me like a ton of bricks. All at once, it occurred to me that he -- unlike most of us singletons -- was not able to immediately discern his likeness in a picture, at least not in a picture that also featured his identical twin brother. By virtue of the fact that they share the exact same DNA and very similar looks (by most accounts), their ability to distinguish themselves from each other is not an easy task. That sense of "self" that we all take for granted? Well, it's a bit more complicated for identical twins. Our capacity to recognize ourselves is something that most of us take for granted. And yet, for identical twins, it is something that is learned, something that needs to be practiced until the subtleties that indicate difference become irrefutably clear. With identical twins, the mere act of looking at each other is, in essence, the same as looking into a mirror. To this end, understanding that their twin looks just like them to most people, they are no different from any other person in not being able to discern the physical difference between themselves and their siblings. A unique problem indeed. How disturbing this must be for both people whose doppelgänger presents themselves to the other with startling frequency (at least in the case of young siblings growing up in the same household). With less instances of looking at themselves in the mirror and more of looking at each other, is it any wonder that discernment of self is a challenge, to say the least? - They sleep together in the same room; bunk-beds, yes, however they are together. Where does it end, they must think? And for those of us who love and care for them, how do we modify our behaviour to support their individuality as well as their similarities? 1) Avoid referring to your twins as a single unit - Instead of saying "The Twins" or "The Girls," refer to them instead by their unique names: "Sarah and Emily," and other times "Emily and Sarah." The key is to always reference them as individuals as well as to not always have one child as the first name that is called or referenced, so that no preference is conveyed. 2) Support individual pursuits for each twin - Though it's much easier to put your twins into the same classes and extra curricular lessons (from a logistics standpoint alone), encourage them to pursue separate interests. Not only will it help them to form their own strengths, but it will underscore the differences from their sibling that makes them unique. 3) Make "one-on-one" time a priority - Each child needs to feel that they are valued as an individual. As their parents, it's important that we support them through special times spent with each of them, alone. It doesn't have to be a long period of time, but should be consistent and frequent. 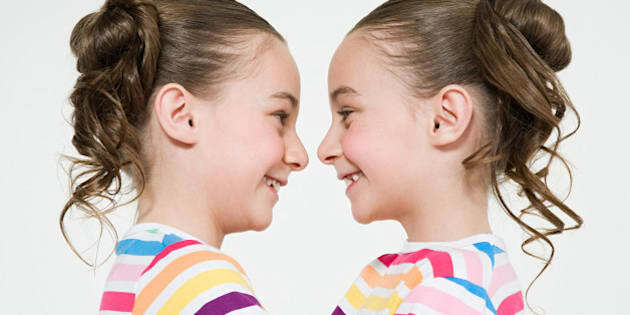 4) Discourage comparisons or competitions between twins - They are individuals and are likely compared to each other by the outside world on a regular basis. Make their lives with the family different by discouraging competition or comparisons between them. They will appreciate not having to live up to expectations that are hard to achieve. 5) Create separate memories - Along with the one-on-one time with each twin, curate special memories through keepsakes for each of your children. Instead of grouping them both together in a memory box or photo album (digital or physical), keep separate items and photos labelled for both of your individual children. Show them by your actions that you recognize and love their uniqueness.